Automakers have to recall vehicles all the time. 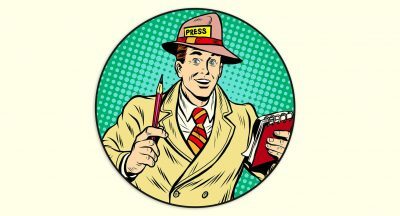 But instead of issuing its notices piecemeal, Ford has announced four all at the same time – some larger in score than others. 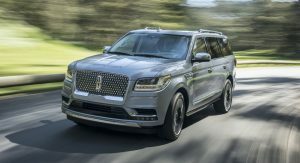 Only one of these recalls affects a sizable number of vehicles, and that’s the notice affecting the 2018 Ford Expedition and its luxury counterpart, the Lincoln Navigator. The problem here is with a “J-channel” reinforcement brackets that are supposed to secure the second-row bench seat, without which the seats may not come loose in the event of a crash. 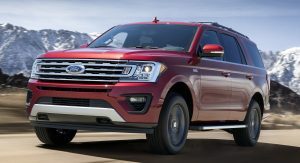 This recall affects some 37,801 vehicles in total (34,946 in the United States), built at the Kentucky Truck Plant between March 14 and August 18 of this year. 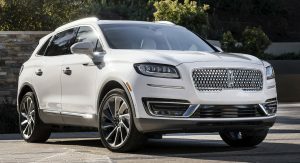 Much smaller is the recall for 271 examples of the 2019 Lincoln Nautilus (268 of which are estimated to be in the United States). This issue revolves around the airbag in the steering wheel, whose injection-molded plastic cover may separate during deployment and potentially injuring the driver or other occupants. 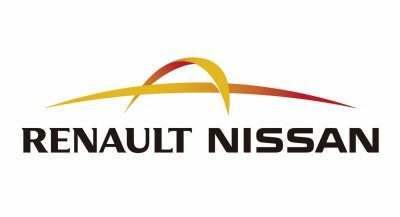 It only affects those vehicles without the adaptive steering system, built at the Oakville Assembly Plant around October 11-19. 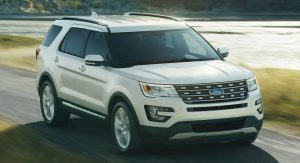 Smaller till is the recall for 160 examples of the 2018 Explorer, some of which (with the 2.3- or 3.5-liter GTDI engine) may have a misassembled fuel-pressure sensor that may cause a fuel leak and potentially cause a fire. These were all built at the Chicago Assembly Plant in late July. 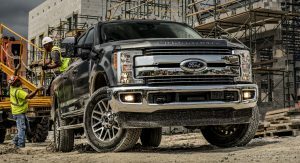 But the smallest of these four recalls is for the 2019 F-Series Super Duty – all of four examples of which (built August 21-23 in Kentucky) may be missing material around the transmission casing where the park pawl is supposed to engage. Without that material in place, the vehicle could roll away even when in Park. 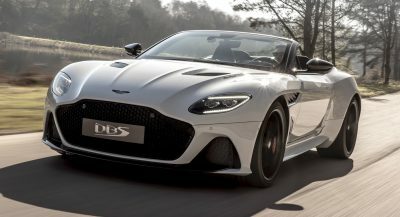 Fortunately the manufacturer reports that it is unaware of any accidents or injuries to have resulted from any four of these issues that, all told, affect an estimated 38,236 vehicles. Notice, though, that these are all for crossovers and trucks, without a conventional passenger car among them.